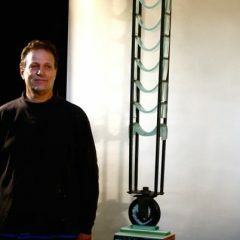 Bruce Pizzichillo creates large colorful handblown glass vases, sculptural vessels, and bows, as well as glass and mixed-media sculptures. 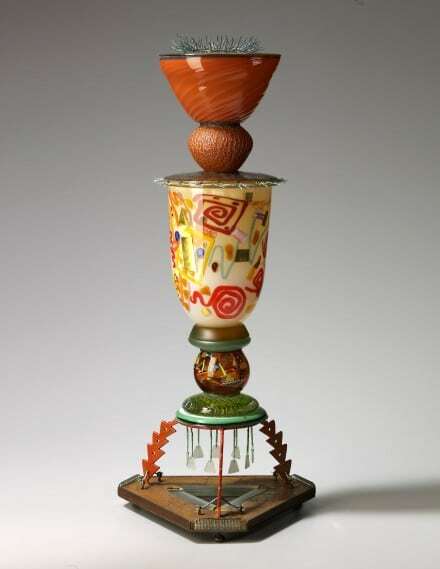 He has been working in this medium since the 1970s, and studied with the world-renowned glass artist Marvin Lipofsky. Bruce’s pieces are notable for their palette of distinctive colors, which he achieves by adding various metallic oxides to the molten glass.